Barcelona’s 19th International Festival of Advanced Music and New Media Art, Sonar 2012 begins soon on 14th, 15th and 16th June and it gets better every year. There’s an awesome line up including Lana del Rey and everybody’s favorite electronic music band, the godfathers and pioneers of electro synth, New Order! There are two parts to Sonar 2012, namely Sonar by day and Sonar by night and they can be found at C/Montalegre, 5, 08001 Barcelona and Av. Botánica, 62, Polígono Pedrosa – L’Hospitalet de Llobregat – 08908 Barcelona respectively. Sonar by day is found in the center of town and in the middle of two of Barcelona’s culture centres; the MACBA and the CCCB. Sonar by night is found just outside the city to the west in the suburbs in L’Hospitalet. Anyone into electronic dance music will not want to miss deadmau5 who’ll be playing on Saturday 16th June at 03:00. Other highlights on Saturday night are New order, Hot Chip, Luciano, The Roots and Die Antwoord. This year’s edition of Sonar presents Sonar Cinema with a varied programme of screenings including musical films, documentaries and experimental pieces. There’s bound to be something for everyone here. This year’s lineup of showcases include: Red Bull Music Academy, BBC Radio 1, 100% Silk, Brainfeeder, Hyperdub, Native Instruments and Bank Robber. Also this year will be SonarPro. SonarPro is the Sónar platform where you can watch, experience and find out about the major new developments in the field of technology applied to art.There are two types of content at SonarPro:Pro, which is only open to accredited professionals and public, which is open to everyone. You can get you SonarPro accreditation here. Having New Order at the Sonar festival for the first time has undoubtedly pricked up many ears and quite rightly, too. 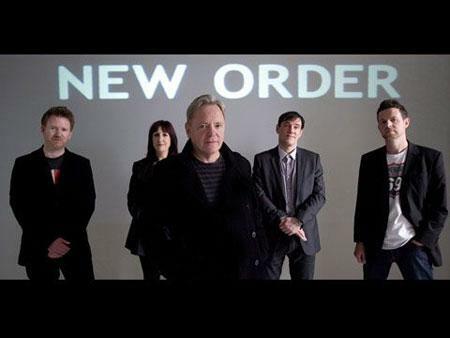 New Order are without a doubt one of the most influential bands of our time. Who doesn’t remember the mythical electronic masterpiece “Blue Monday” which happens to be the best selling dance track in history? The band became a benchmark for all other electronic music artists and were acclaimed in the eighties for their unique and creative style. The group is still going strong despite a few ups and downs and the passing of years and this is shown by their legendary double live album “Live at the London Troxy,” which was released last year. So what are you waiting for. This is a unique chance to savor some of the awesome music by one of the most legendary bands of electronic pop music. While you are thinking about coming, why not watch a Sónar film trailer. The teaser of ‘The Distance’, the next film produced by Advanced Music and directed by Sergio Caballero, is the Sonar 2012 image. The film narrates the story of a robbery that takes place in a Siberian power plant.